Town wants to create more homesites like those just awarded in lottery at Nab's Corner. With four new affordable homesites having entered the fold in Chilmark and the need for affordable housing on the Vineyard still acute, selectman Warren Doty has proposed a five-year initiative to provide 10 more homesites in his town. 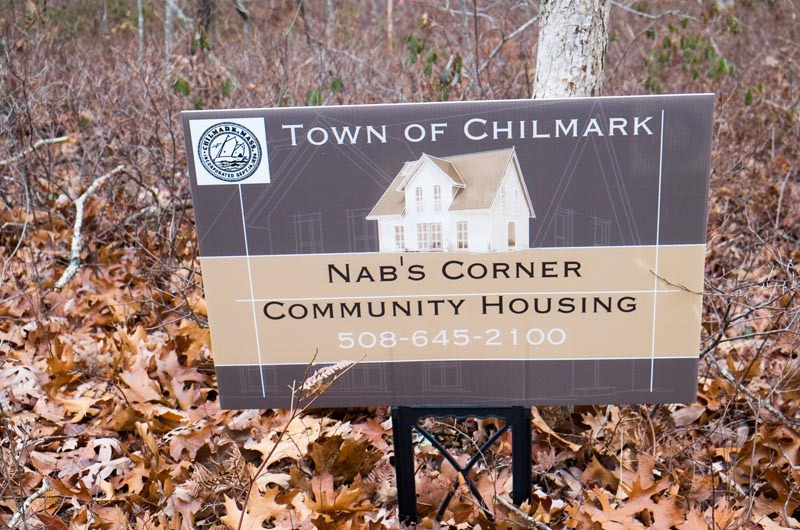 The four lots at Nab’s Corner were awarded in a homesite lottery Dec. 2 — the first in Chilmark since 2009. Despite complications in the application and appeal process, which are still being worked out, many town officials have called the lottery a success. Mr. Mayhew pointed out that elderly housing, along with the needs of the Tri-Town Ambulance Service, were also major concerns in town. “We’ve done a lot of youth lots, resident homesites, but we really need elderly housing,” he said. A five-year initiative would likely require the cooperation of multiple town boards. Mr. Doty said the town receives between $275,000 and $300,000 in Community Preservation Act funds every year. The funds are administered by the town community preservation committee, and can be used for affordable housing, open space, historic preservation and recreation. “Over a period of several years, we could accumulate a significant amount of money — enough money to buy a piece of land,” Mr. Doty said. He also noted that public safety projects such as a new firehouse or changes to the Tri-Town Ambulance Service would likely not qualify for CPA funding. Mr. Doty was “all for elderly housing,” but believed it would be more difficult than offering homesites, in terms of costs and planning. Executive secretary Timothy Carroll argued that resident homesites presented challenges of their own, and recommended a more comprehensive approach to affordable housing. But he encouraged the selectmen to write a letter to the community preservation committee asking for funds to be set aside over the next few years. Mr. Doty agreed to prepare a draft for the selectmen to review at their next meeting. men approved up to $10,000 for improvements to the floor of the Chilmark Community Center. Marc Rosenbaum of South Mountain Company of West Tisbury reported that the oak-strip flooring did not need to be replaced altogether. He recommended adding vertical slits at intervals, or otherwise removing some floor boards, so the floor can expand and contract without buckling. Changes are also in store for the community center’s roof and front entrance. Mr. Carroll estimated that $30,000 would be needed to repair and reshingle the roof, which would involve temporarily removing a set of solar panels. The project would need the approval of town meeting. A new vestibule over the front entrance has been in the works for some time and has already been approved at town meeting. But a newer plan calls for a smaller vestibule that is contained within the building, so it may need to return for another vote. The town has $17,000 set aside for the project, and may need another $25,000, depending on the final design. Mr. Carroll expected a cost estimate to be ready by January.